The Nokia Lumia 900 is the first Nokia Windows Phone device designed specifically with the North American customer in mind meaning it packs a relatively large 4.3-inch display and offers 4G LTE connectivity. 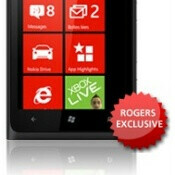 While Nokia’s main goal is to make itself known in the USA, the Lumia 900 is first coming to Canada. 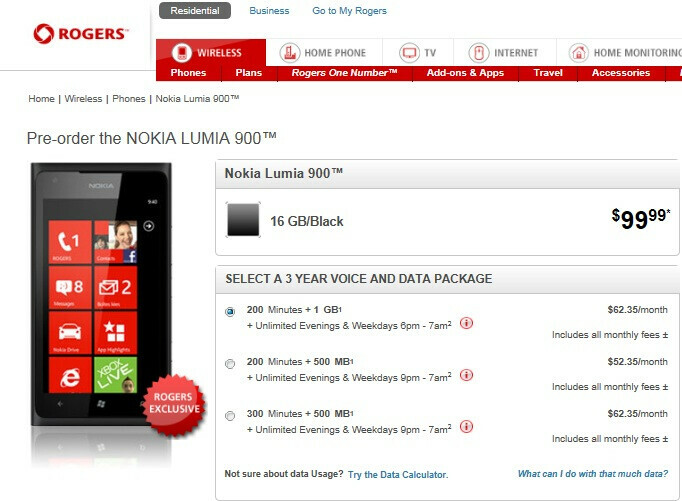 Just as Canadian carrier Rogers promised, the Lumia 900 went up for pre-order today for a price of only $99.99 on contract. In Canada, Rogers requires you to sign up for a three-year contract in order for you to fully benefit from the carrier subsidy. 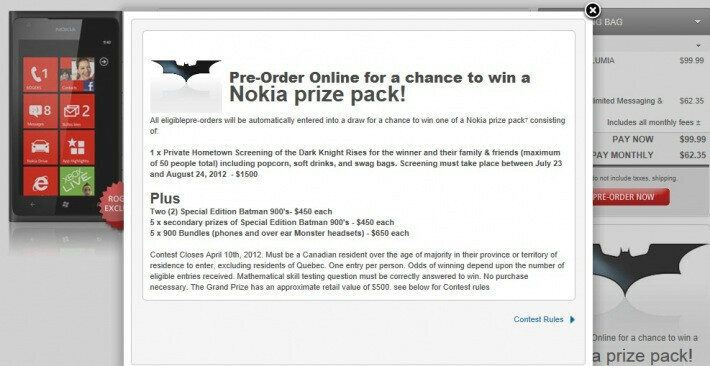 Additionally, the first ones to pre-order may qualify for a Nokia prize pack which could be a Batman-styled handset and other bundles. Rumor has it that AT&T stateside will launch the Nokia Lumia 900 with the same sweet price of only $99.99 on a 2-year contract. The handset features a 4.3” WVGA screen, 1.4GHz single-core processor, 16 gigs of non-expandable internal memory, an 8-megapixel camera and an 1830mAh battery. how about singapore? I am still waiting for this great phone. Still waiting for Windows Phone to get officially introduced in the Philippines... and please bring the Lumia 900 when you come for the introduction! Want this phone bad! oh so its the dark knight series.. awesome!!! Folks, don't feel bad. We're having problems here too in the US: no advertising, no preorders, no nothing, and its getting close to four months since initial announcement. What away to penetrate the US market.